The Splash is this area’s favorite wet spot. 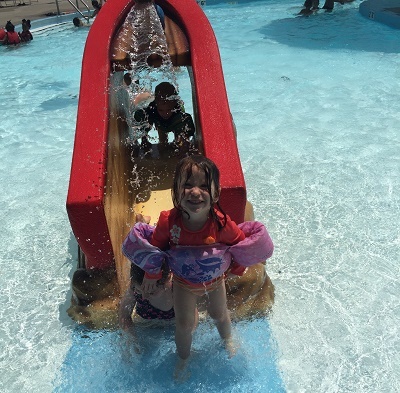 This seasonal aquatic facility provides activities for people of all ages. We offer both morning and evening swim lessons, morning lap swim, and special events. If you are wanting to have your own party, we have designated evening times for private parties, or you can rent the pavilion inside the facility to ensure you and your guest have a shaded area to relax after all the swimming. 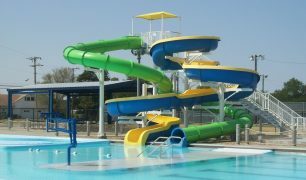 The Splash is equipped with two 2-story water slides, a drop slide, a diving board, a 1,200 foot current channel, and a tot zone complete with slide, tumble buckets, and spray features. 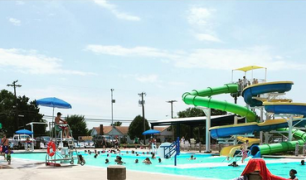 The Splash is a family destination for all Texoma friends.